The saying 'A picture paints a thousand words' is poignantly true, with this collection. Taken from different parts of the world, they all have their own story to tell. From the monks, joining together in prayer, the terminally child wishing to donate his organs to allow others to breathe life, to the musicians tears for those lost in 9/11, there is one common story- the strength and compassion of the human spirit. 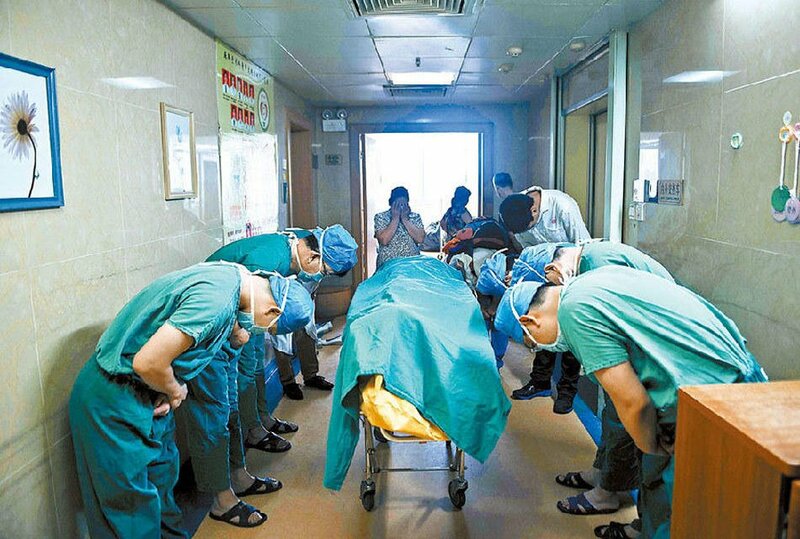 Chinese Doctors Giving Thanks To An 11 Year Old Young Boy, Who Requested That His Organs Be Donated To Others. A journalist running across a bridge with a child during the Spanish Civil War, 1936. A man protests on Tiananmen Square, Beijing, 1989. Vancouver. A musician cries during a service for the victims of 9/11. A soldier feeds a two-week-old kitten during the Korean War. A fireman saves a little girl, USA. Children who live inside the Arctic Circle. Tazov Peninsula, Russia. A little girl from Guatemala clings to her cat.